I'm not really a fan of Horror and Thriller/Suspense movies because I easily get scared and shocked while watching those kinds of film. But because of peer pressure back when I was a student, I had the chance to see a few movies before that really made me feel paranoid at times and have nightmares. One of those movies is the Hostel, a blockbuster horror movie by Eli Roth. Upon arriving at the cinema, there was already a long line going inside the theater. I got two tickets with free drinks and popcorn plus we had the chance to win a limited edition Green Inferno shirt and a small poster card. 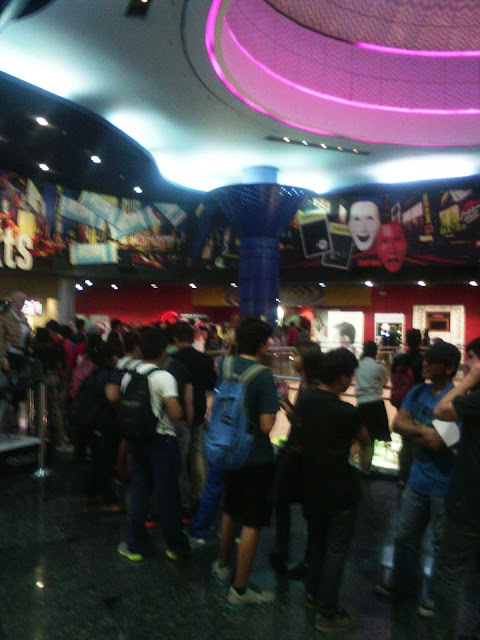 Look who's posing near the entrance of the theater! Creepy! After the national anthem, I was very excited and nervous at the same time. The movie was all about a group of college students who wanted to save a tribe from getting killed and kicked out of their own village. The group led by Alejandro (Ariel Levy) was successful on their mission which is to stop the construction at the Amazon Jungle that can cause death/injuries to the tribe leaving there. Unfortunately, during their mission, they had to use Justine (Lorenza Izzo) as they planned to let the militia capture her because they know that they won't kill her if they reveal that her father works as an attorney of the United Nations. Their plan worked as they were set free and were led to an airplane out of the Amazon Jungle. Everyone was celebrating for a job well done, except for Justine, when the airplane crashed in the Peruvian Amazon. 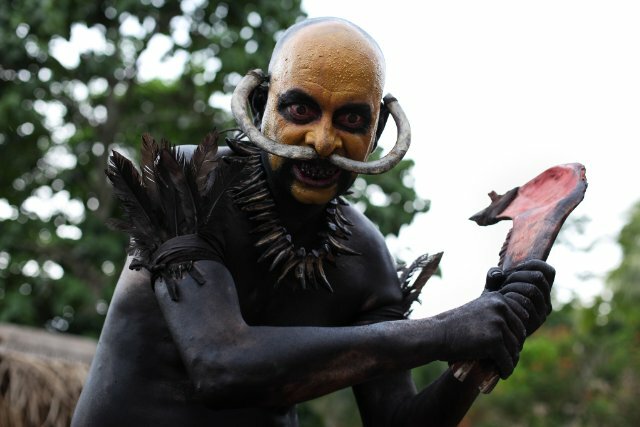 As survivors search the jungle for ways to get out of the jungle, members of an indigenous tribe held all of them captive at a huge cage inside the village. What's worse is that the tribesmen were cannibals and as day goes by, the captives were killed, cooked and eaten one by one. Some tried to escape but were killed during the process. 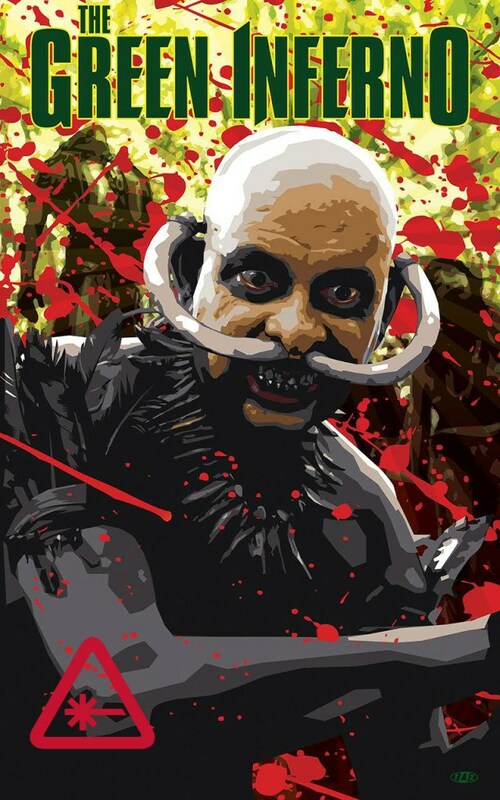 At one point, Justine (lead role) was super close to getting her female genitalia mutilated by the women of the tribe if not for the nice kid she knew during their awful stay in the cage. She was able to leave the village and left Alejandro to rot in the cage. But before she was able to leave the jungle, there was an encounter between the militia and the tribe where in Justine was able to stop the commotion and was sent back to her family. It just left me wondering what the Bald Headhunter said to Justine before everything went peaceful to both groups. I think I heard him say "We need you" to Justine. Anyways, once back with his father, Justine was interviewed by the U.N. and she informed them that the tribe needs their help by stopping the construction from ruining the jungle. Unfortunately, she lied about not seeing cannibalism going on in that village when asked. Last scene was someone called Justine and claimed that she is Alejandro's sister and that she was able to see the image of his brother through satellite images and they need to talk. 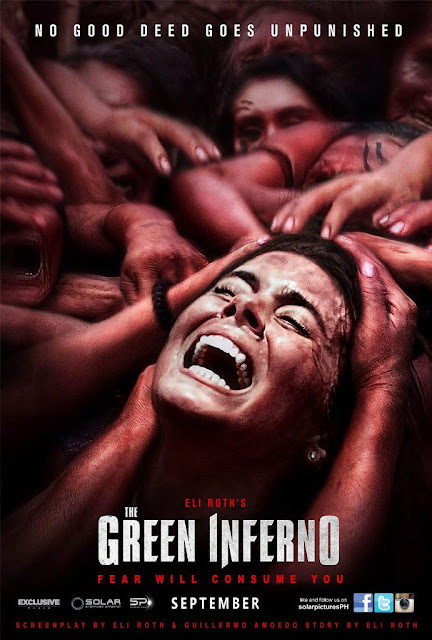 Pretty much saying that there is a sequel to the Green Inferno. Okay, so how did I find the movie? From a non-horror fan's point of view, the movie was very effective in making my heart pound throughout the village scenes while covering my eyes and ears the whole time. Trying to peak during the cannibal scenes, it made me feel scared at what could happen to the next victim. A hint of comedy was also mixed into the movie with a girl having a diarrhea in front of a lot of people and two men putting drugs on a victim being cooked making the villagers high. 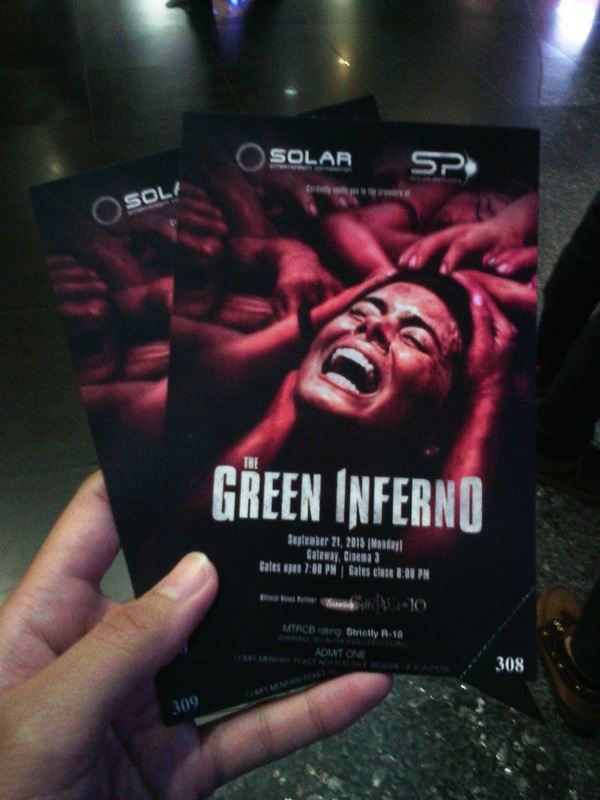 I highly recommend this to horror/gore movie fanatics because they will definitely enjoy the chopping of bodies, bloody scenes and eating cooked human meat scenes in this movie. 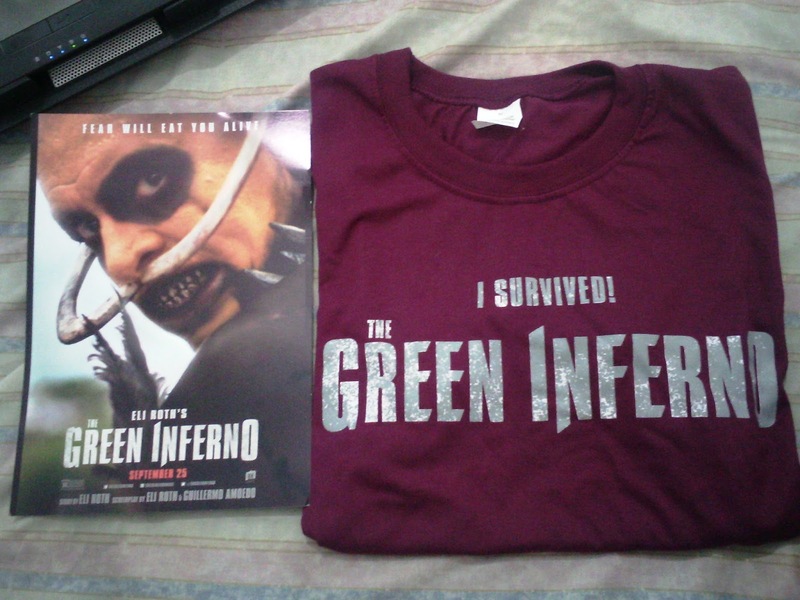 For non-horror fans, I dare you to watch this movie and see if you can survive the Green Inferno. Job well done to Eli Roth for another horror masterpiece. Hope the sequel will be way scarier and gruesome than the first. Are you tired of hanging out in restaurants/bars that seem to be too loud and crazy for you? Do you want to experience a place with great food, ambiance where you can just relax and enjoy jazz/80's music that you've been missing for so long? 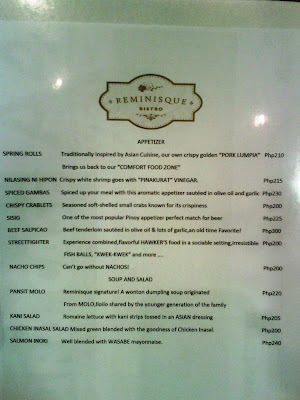 A visit to this new bistro in Tomas Morato will definitely be a must try and surely, you'll love this place as much as I did. 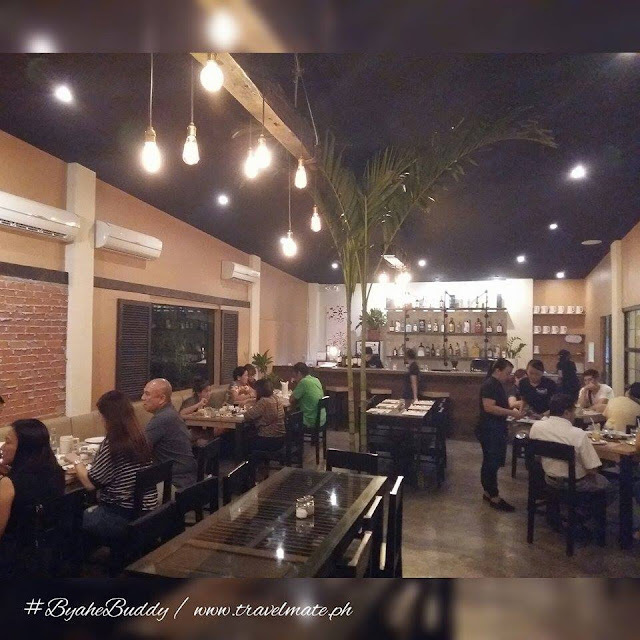 Reminisque Bistro opened its doors to the public last July 30, 2015 and as the name suggests, this cozy dining hub aims to provide a venue for adult professionals and yuppies who are craving for some straight-up, comfort grub with the distinct feel of hometown goodness. Metro Manila’s newest go-to place for foodies and pub crawlers steers clear of the usual culinary fix being served by nearby restos and cafes in the area. 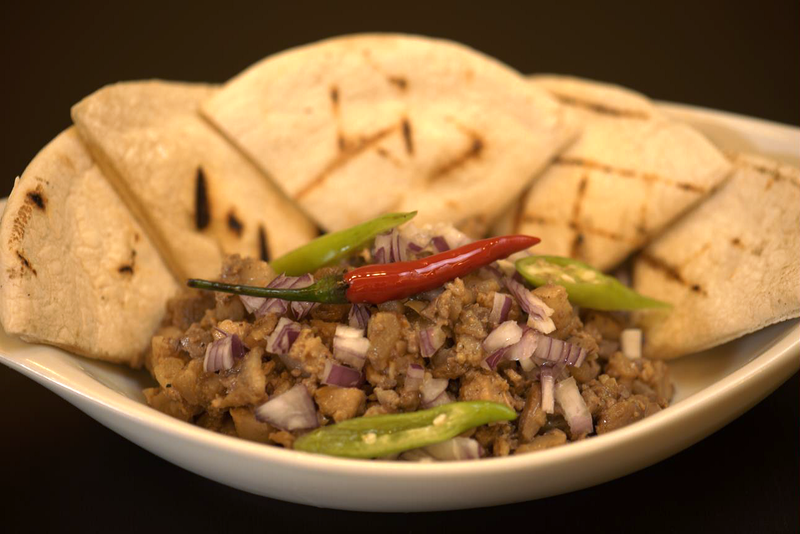 Instead, it focuses on exquisite, traditional Filipino cuisine, but the kind that incorporates fresh new ideas with delicious regional taste. 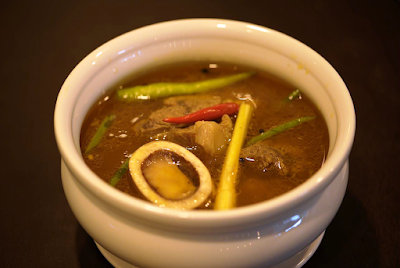 Almost everything that comes out of the kitchen is a specialty prepared in classic, flavorful glory: kansi, a rare Ilonggo delicacy that straddles the fine line between bulalo and sinigang, is a huge hit among regulars, especially after giving its thick, tangy taste a try. 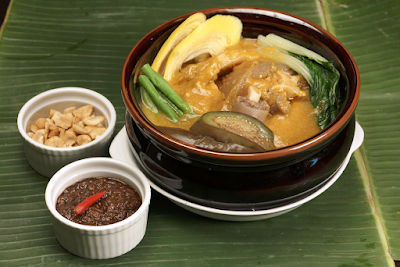 Their traditionally prepared kare-kare brings a slice of home: earthily smoothened and savored with grounded peanuts and roasted rice grains. 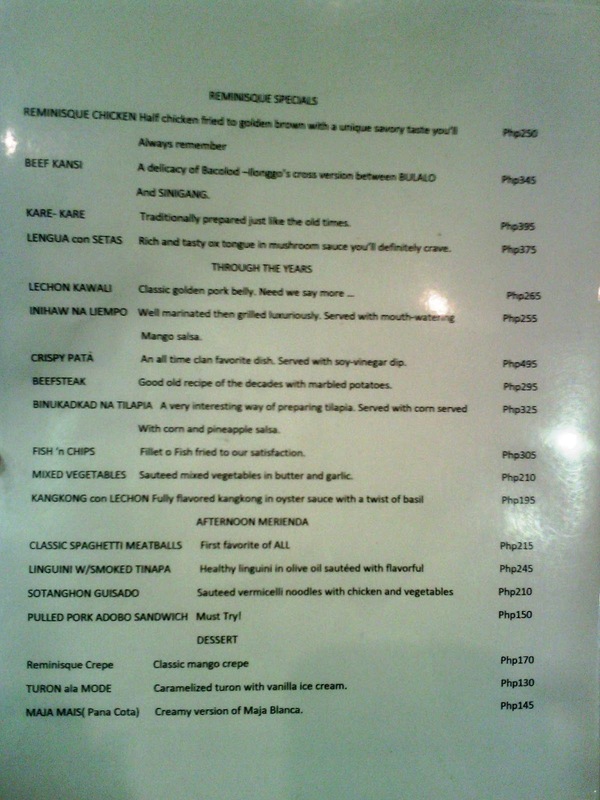 and the famous Reminisque chicken — fried to golden brown with a unique savory taste you’ll surely remember. 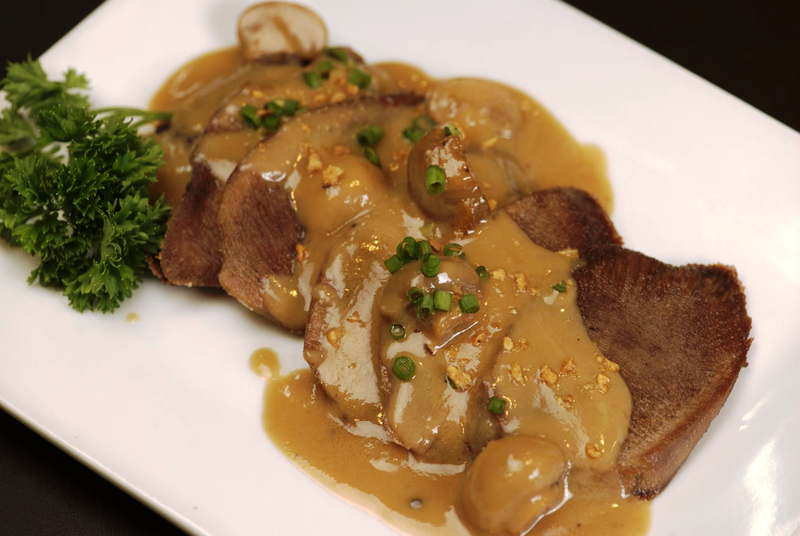 “We hired a chef, experienced in creating various dishes including his old recipes gathered,” Matias says about how they sort through and curate the food in their menu. 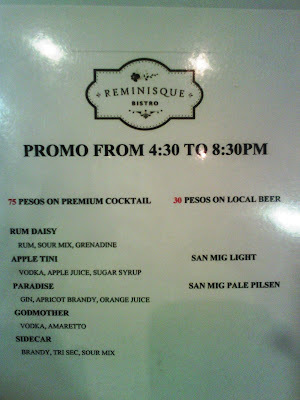 Last September 17, I was very happy that I became a part of the Reminisque Bistro Press Launch (Thanks to Ms. Pauline of Think Big Events for the opportunity). Upon arriving, the interiors already gave an impression that it was homey, relaxing and a perfect place to unwind and enjoy great food with your family and friends. Went straight to the buffet area, which is actually their private dining room that can accommodate up to 35 pax, where you can dine and bond with your friends/colleagues more intimately or even celebrate special occasions. They also served their specialty, Kansi, a soup that seemed like a Bulalo but tasted like Sinigang. 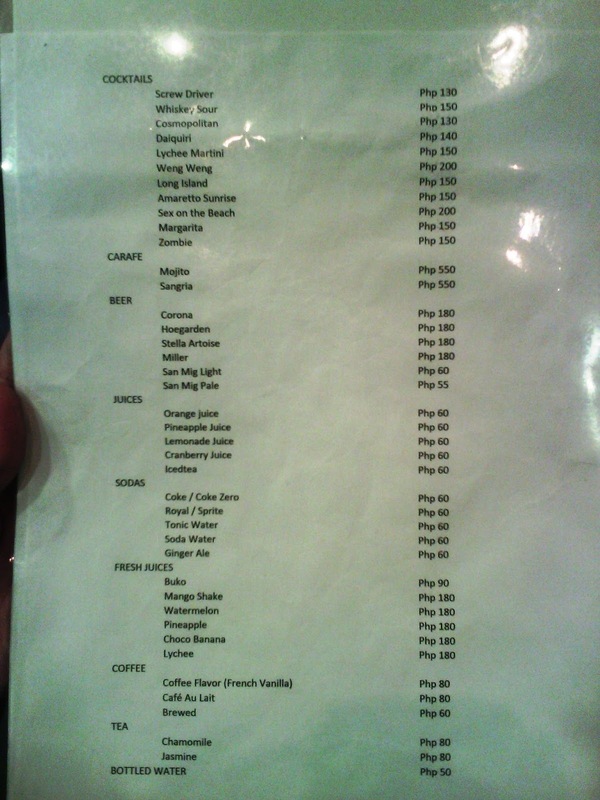 They also have great Iced Tea! 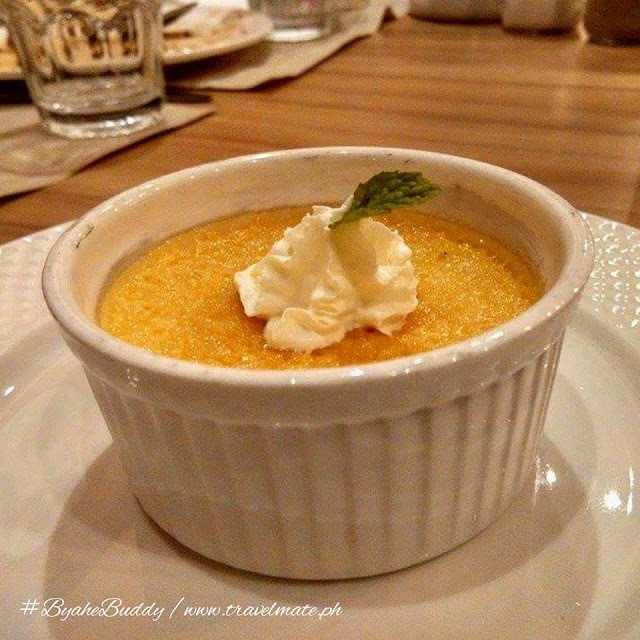 For dessert, they let us try their take on the traditional Maja Blanca. 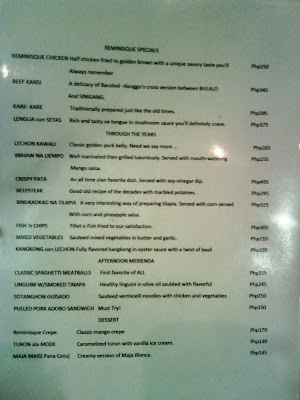 I enjoyed the dishes served especially the Kare-Kare and Kansi. Their Kare-Kare meat was very tender and the creamy sauce had the right consistency. It would be best to add a small amount of their alamang/bagoong. For their Kansi, it was actually my first time to taste the dish and I immediately loved it. A combination of my two favorite dishes turned out really delicious plus the meat shank with bone marrow is perfectly cooked. 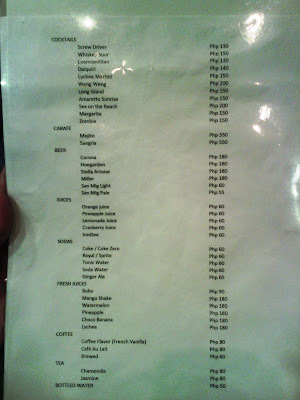 I also liked their Maja Mais topped with a generous amount of grated cheese which was not too sweet but really creamy. While eating, the host invited those who want to join a mini game where in they will be showcasing some of the music that we can expect while dining at Reminisque Bistro ranging from 70's to 90's songs. The DJ will play a song for less than 10 seconds and the contestants must write the correct title of the song on a paper given to them. The group who gets 7 correct titles out of 10 (or more) songs will be the winner. Everyone was competitive and even the audience enjoyed guessing the music. It was such a fun game! After the game, the media and bloggers had the chance to ask questions to the owners of the Reminisque Bistro and their answers were very interesting. I learned that every painting displayed in the restaurant and even the speakers were personal stuff of the owner. They really incorporated stuff that are very important to them at the restaurant. 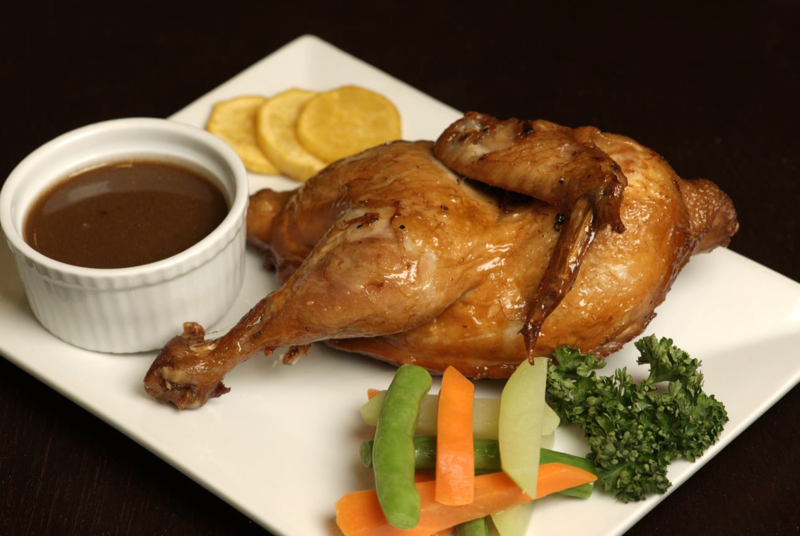 They also make sure that they are present at the Reminisque every night to be able to interact with the customers and learn what they need to improve in the restaurant from the food, music, service, etc. 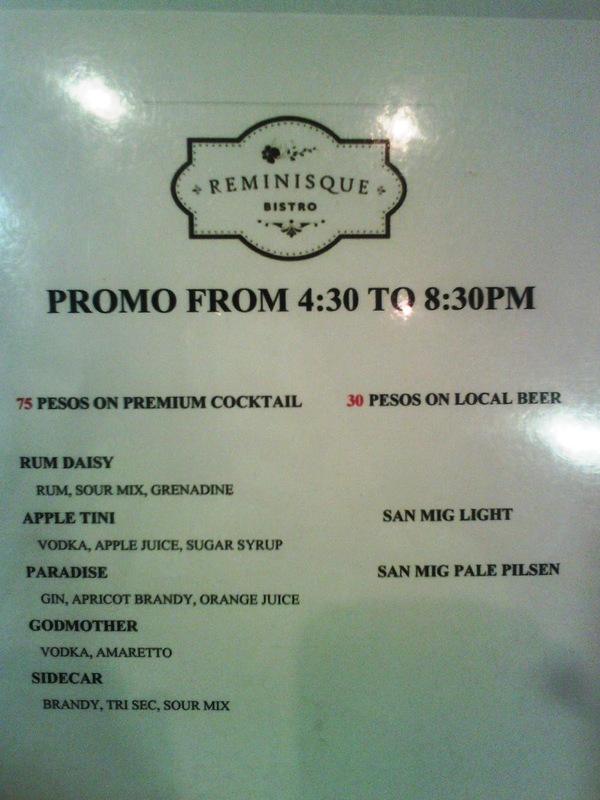 Finally, the Reminisque Bar. I really liked how they placed 80s themed displays at the bar such as a mini jukebox, phonograph, vintage cars and trumpets. Their service cocktail bar features a wide array of drinks - pure, concocted and fondly stirred with alcohol mixes, spirits, vodka, seasonal fruits and sweeteners. Celebrate the Mid-Autumn Moon season as Manila Pavilion’s Patisserie lays out a delectable spread of mooncakes from September 14 to October 18, 2015 at the Patisserie. Occurring on the 15th day of the eight month of the Chinese lunar calendar when the moon is at its brightest, the Mid-Autumn Moon festival has become an occasion for family reunions all over the world, which like the ubiquitous moon cakes that abound during the season, symbolizes family solidity and union. It is considered to be the time of year when children are happiest and traditional candle-lit lanterns shaped in various forms are visibly displayed. 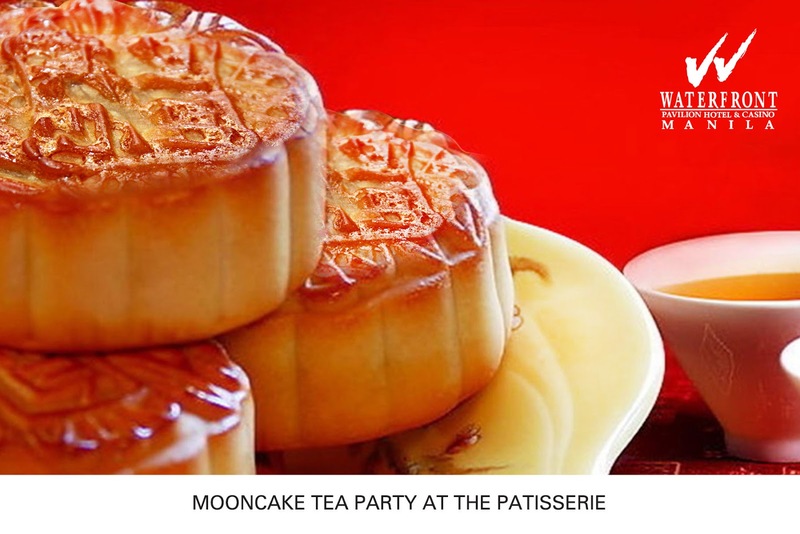 To welcome the moon, purchase a hearty mooncake perfect for your tea party on the 27th of September. Revel in the delightful aroma of palatable moon cake variants available at the Patisserie. For the large mooncakes, there’s the lotus with macadamia, egg custard, mixed nuts, lotus with 1 or 2 eggs, lotus plain, mongo with 1 or 2 eggs and mongo plain. And for the mini mooncakes, available flavors are chocolate, ube, egg custard, mixed nuts, lotus plain and mongo plain. 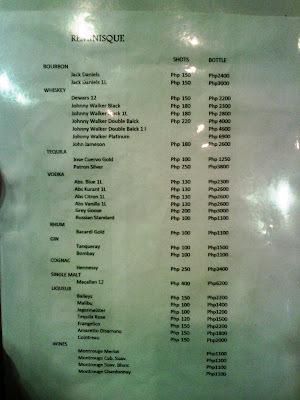 Prices start at Php1350 per box of four. Also comes in gift boxes perfect for giveaways starting at Php450 per box of four. To make this occasion more festive, Manila Pavilion also offers Mid-Autumn Room Package starting at Php3,500nett for an overnight stay with buffet breakfast for two (2), one (1) limited Mommily Holiday Privilege Card, a box of mini mooncakes, 20 percent discount voucher from all F&B outlets and complimentary use of the swimming pool and Wi-Fi. For inquiries, please call the Manila Pavilion Hotel at (632) 526 1212 extension 2326 for the mooncakes and extension 2382 for room reservations. For regular updates log on to www.waterfronthotels.com.ph and follow us through social media @WaterfrontMNL. Last July 18, Salliano’s Restaurant and Bar had their soft opening which was warmly patronized by locals near their area. 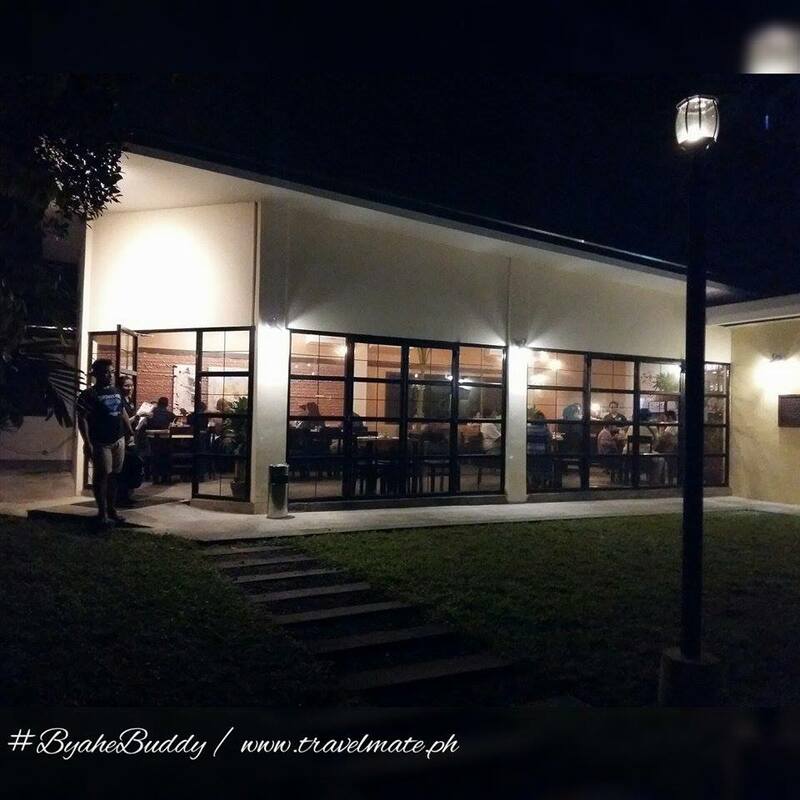 It is a modern and casual dining restaurant located in the heart of Marikina City and founded by a group of friends who have known and been with each other since Grade 1. Over the years, their union as friends, in due course, grew into one big family including their spouses and respective families. 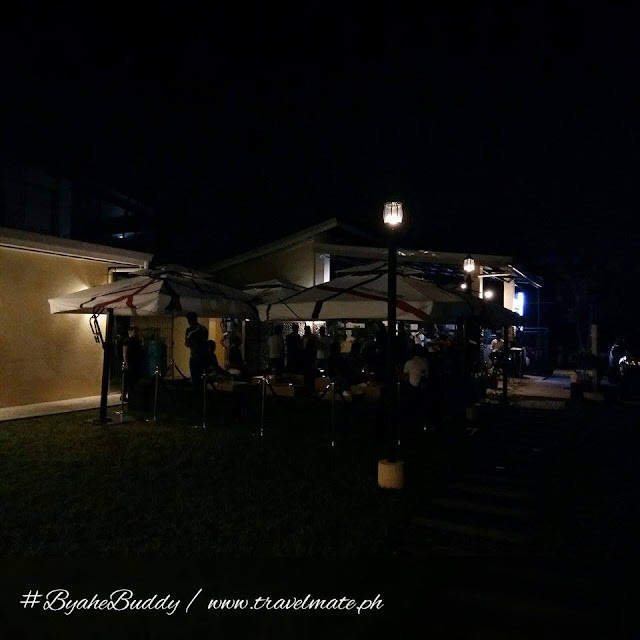 Gatherings are but normal and certainly sharing and tasting of each others' specialty dishes and eventually led to the transformation of their love and passion for food to business. Salliano’s stand for togetherness and celebrations. The idea is to bring back the heart and the familiar in comfort dining, as if one is simply enjoying a hearty meal in your parent’s or a favorite uncle’s backyard. 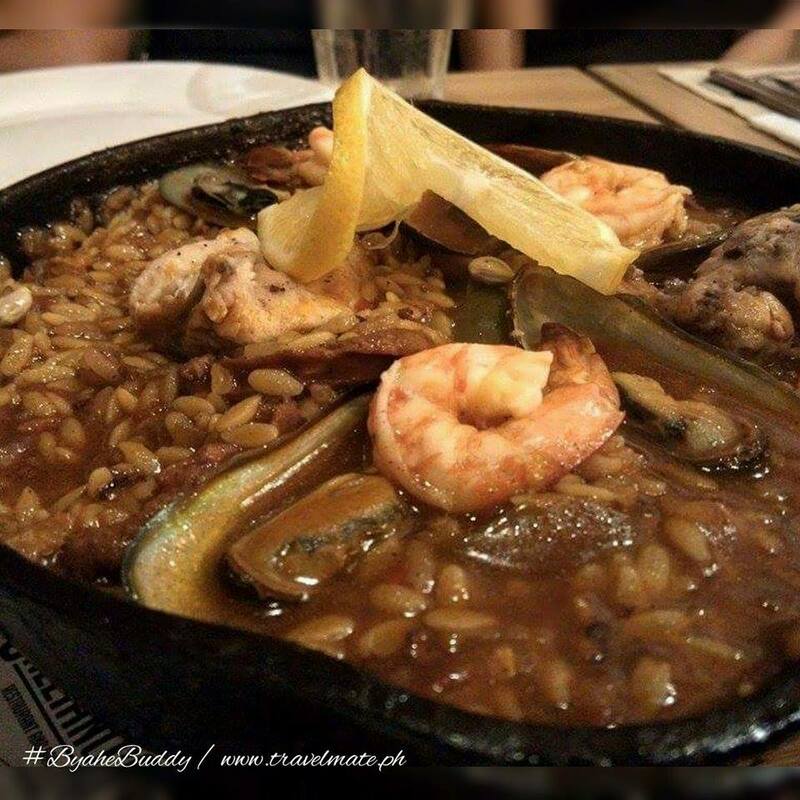 Salliano’s offers a wide range of gastronomic experience, including the Paella which harken back to those memorable family reunions, the consummately humongous and delicious meatballs that remind of fun birthday celebrations with friends and the all-time favorite gourmet BBQs and Sisig that bring back unforgettable moments with barkadas. 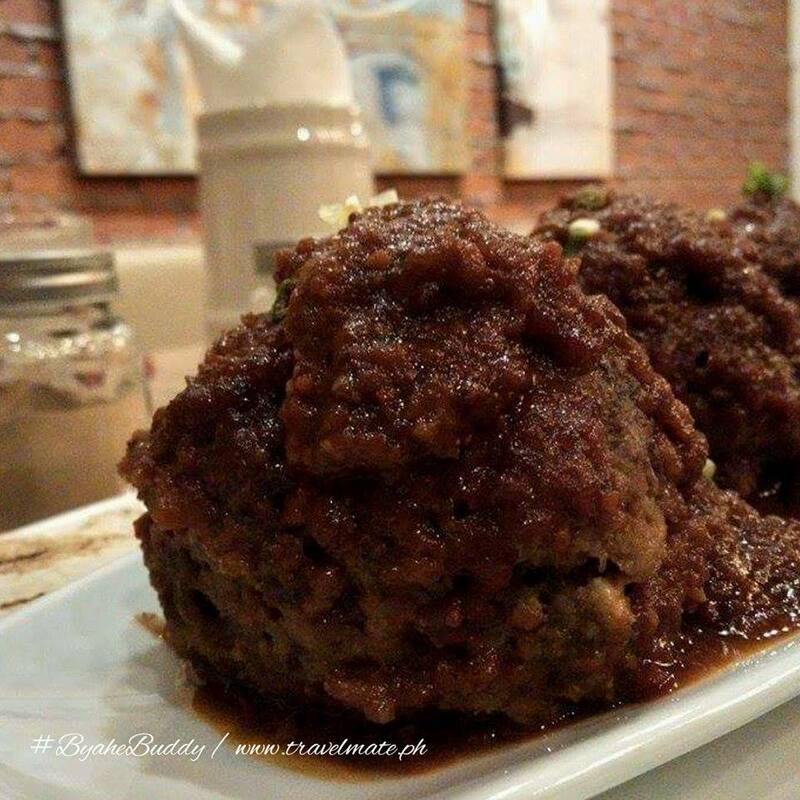 They also serve their exceptionally enormous meatballs, the uniquely cooked Paella and one of their specialty desserts, custaroons. The dishes are full of honesty with only one true goal, and that is to serve a hearty meal while you simply celebrate with those special to you. 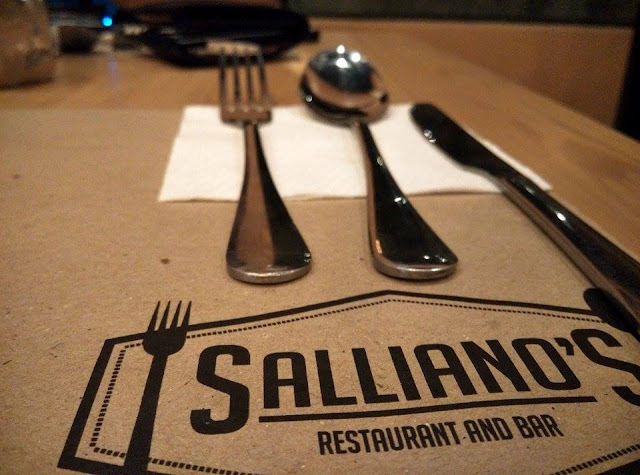 Truly, Salliano’s is about celebration, family and home. I am very happy to announce that Salliano's Restaurant and Bar will be having their Grand Launch this coming September 19, 2015 (Saturday) and famous musicians are invited to perform onstage including one of my favorite bands in the country, UP DHARMA DOWN!! 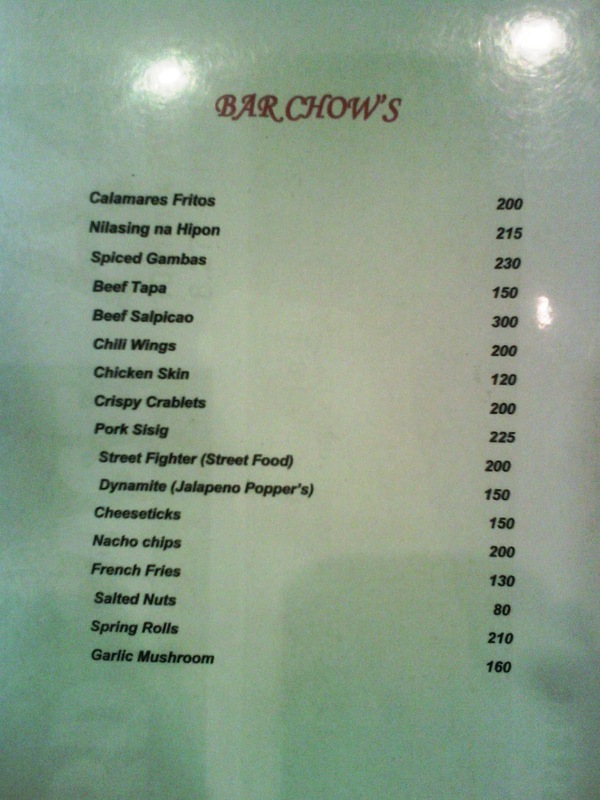 For your table reservations, please call 09278120917 or visit them personally at Salliano's Restaurant and Bar. For more details and updates, you can follow them on Facebook and Instagram. 2. Share their facebook fan page and tag 3 of your friends who you want to watch with. 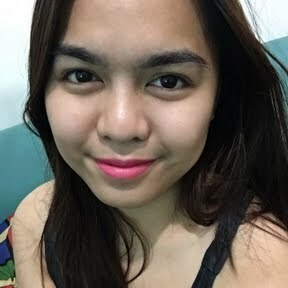 Remember to use the hastags at all times (#SallianosinMarikina and #CelebrateSallianos) or your entries will be disqualified. 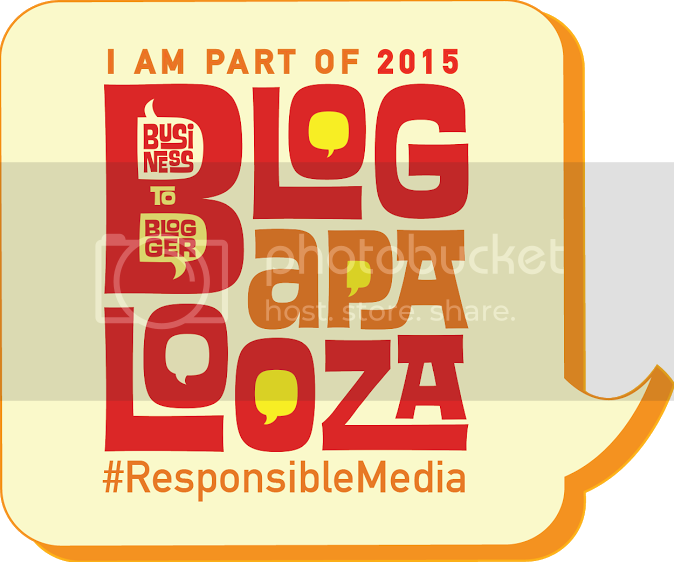 More shares and tweets mean more chances of winning! Goodluck!